Jessica has developed a small cult following in North America and as far as Egypt for her performance in the starring role of Elle-Maija Tailfeather’s film, “A Red Girl’s Reasoning”. The film premiered at various festivals in Canada and the United States, taking home awards for “Best Canadian Action Short” at the prestigious ImagineNATIVE Film festival, winner at the Crazy 8s Film Festival, Vancouver International Film Festival, LA Skins Film Fest in Los Angeles, and nominated at the American Indian Film Institute in San Francisco 2012. 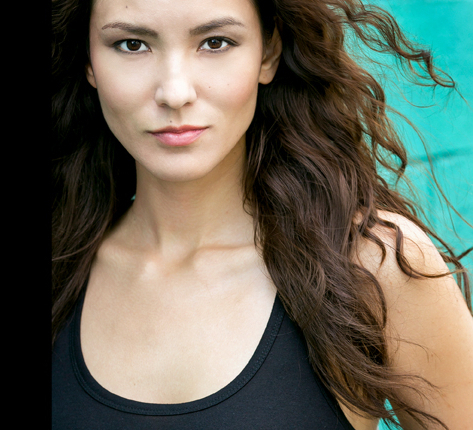 Currently Jessica is filming a recurring role for the Gemini Award winning TV show, “Blackstone” this 2014. Last year’s “Pilgrims” which Jessica had a predominant role in, (written and directed by Marie Clements) was an official selection for the Cannes Film Festival and the Toronto International Film Festival 2013. Jessica made her professional Television acting debut in 2009, graduating from Shoreline’s Acting School with appearances in a series of commercials including Nintendo Wii – EA Sports More Workouts, Nature Valley, Smart Pet Brands, Mercedes, Pointstreak Sports, Cartoon Network’s TV show, “Level Up” and more. Besides acting, Jessica runs an Aboriginal wellness and fitness company with her family called Lemon Cree where they have helped thousands of Aboriginal people achieve their fitness, wellness and health goals. Jessica runs multiple monthly articles and the magazine “Active Cree” distributed monthly to 60,000 people and 10 communities across the James Bay area throughout Northern Ontario. She is an occasional guest speaker to the youth, teaching them acting and fashion workshops, and has had many wonderful success stories with the youth over the years. Jessica and Lemon Cree are currently in the process of developing the first Native American owned franchised D-League basketball team for the NBA in Rochester, New York. Throughout all of her work, Jessica strongly believes in the power of helping others on their own journeys in life and understanding that we are all connected. She hopes her work with the many wonderful people she has met so far will continue to inspire.